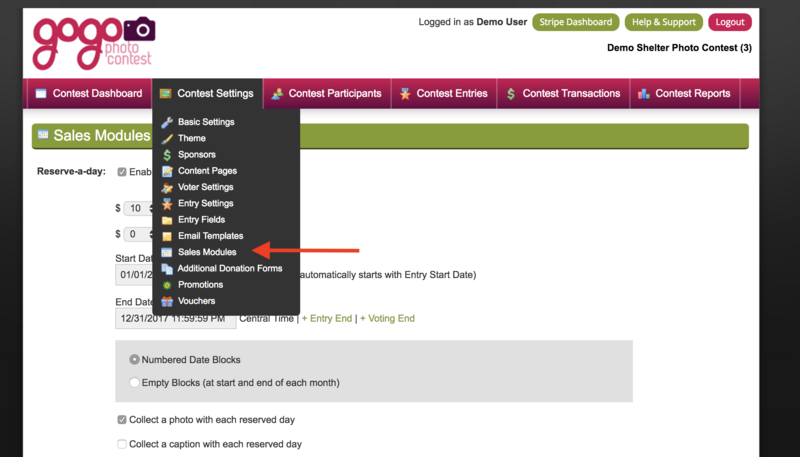 Once your contest has begun, we do not recommend extending the ending date, especially as your contest nears its end. You may have participants that view it "unfair" if they've rallied hard for votes, only to have the competition extended. Although we do not recommend it, we have had contest administrators do it in the past. Instructions are below. 5. If you're using any of our Sales Modules (Calendar Pre-Sales, Reserve-a-Day), you'll want to make sure that those dates are adjusted as well. 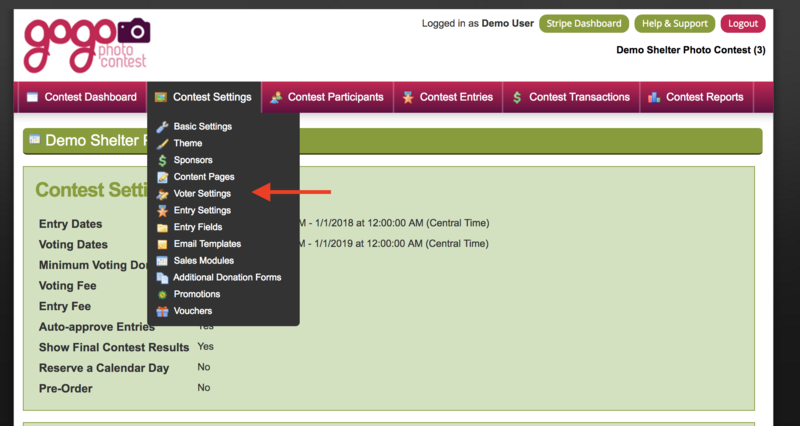 Navigate to Entry Settings > Sales Modules to adjust those dates and follow the steps above.